Starting at $4 per room. 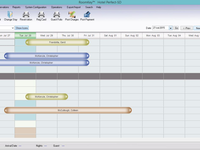 RoomKeyPMS is your one partner for all your software needs. Our cloud-based property management system integrates seamlessly with more than 500 hospitality systems to save time, enable faster and more accurate decisions and improve your RevPAR. RoomKeyPMS is making technology simple, integrated and well supported for hotels. It is your powerful all-in-one hotel PMS. Pros: The program along with interfaces are extremely easy to deploy and very, very user friendly! Their entire team are experienced hoteliers with warm, genuine and caring personalities. They take a personal approach in everything they do. They are continuously seeking ways to improve the product by reaching out to end users for feedback and beta testing. They also strive to ensure exceptional client services at every single touch point and beyond! Cons: The only thing I would say I find challenging; when we first began with the program a little over 10 years ago I had become very used to having one main "go to" person I worked with as an ideas and support person. This allowed for a great working relationship and a clear understanding of needs and wishes. Now there is a team and I don't know all of them as well and sometimes communication isn't as clear as I would prefer - this would be from both my side and theirs. Recommendations to other buyers: If you want a cost effective product that is easy to deploy, very easy to train your team to use and has many of the bells and whistles you would want - this is the right program! It works for select service and full service, urban, suburban and resort locations. Provides everything we need and is constantly innovating. Pros: Cloud-based, very user-friendly and easy to train, readily available training materials, accessible and attentive client resources, very responsive customer service, easy to manage and build any needed reports within the platform, allows us to integrate with all relevant industry software, provides ease and convenience to our daily duties, and constantly improving and anticipating the changing needs of our industry. Cons: There is nothing to report, any potential issue was solved quickly or worked around easily. They welcome suggestions for improvement, and I readily provide them. Overall: Streamlined daily operations, ease of training new employees, allows us to successfully serve our guests very intuitively. Comments: Pros --There has been a lot of very nice features that have helped us serve our Guests better. - The quick access to information on the home screen. to do more Revenue Management and Promotional Rates. looked at and worked on. 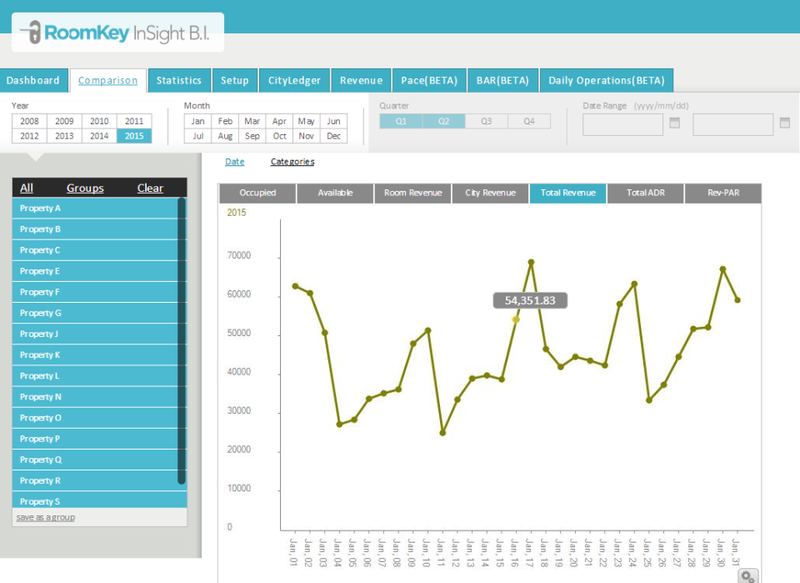 - RoomKey Insight page is very nice for getting certain reports/information. - Website Interface and online booking is good. there are a lot of good reports, but I believe the reporting could be better. reservation to make a change you always have to enable overbook if the hotel is filled. - Packages are not very user friendly. There are lots of additional items and things to discuss concerning the software. The above items obviously don't cover everything. Overall our organization is very pleased with the system and has been impressed with the customer service thus far. Room Key Pays for Itself! Pros: As a General Manager of 20 years in the hospitality industry I can confidently say our hotels performance is directly linked to Room Key. The technology is affordable; the staff at RSI is extremely cutting edge. 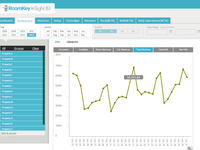 Within the first six months of using RSI our occupancy went up 10%. Our staff honestly loves the system, front desk can be trained to take reservations and oversee check-ins within a few hours. The accessibility of having an online system allows us to work from anywhere at anytime. RSI allows us the maximize presence with the GDS by offering a two-way interface that is so easy to use and gives maximum control. We are a mid size property of 70 rooms that operates a year round occupancy of 93-95% with an average stay of less than 3 days. We operate extremely efficiently because of RSI. We feel passionate about PMS provider and the team that supports us. Cons: Well, in regards to the cons of the software, I guess there are a couple of things that I would like to see in future upgrades. We'd like to see the tape chart show a few additional days and we would like to enhance the logo imaging on the confirmations that we email out along with the fonts and overall design. We'd also like to add a function that drops held reservations with out guarantees after a preset time. Comments: We have been using RoomKey PMS for a year now and it has been a great experience. The cloud based PMS allows me to connect to the property from anywhere in the world making it easy to access information or assist other users at any time. The interface is user friendly making it easy to train new employees on. 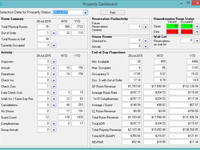 The advanced user functions offer many solutions to revenue and property management. The reporting functionality is also pretty on point. No system is perfect or without issues but they have been consistently working on updating and patching them within the various modules as they arise. The support team has been amazing. Special mention to Margaux who has helped me through numerous questions and requests. The exceptional support we receive is what sets them apart from other systems we have used. I would recommend RoomKey to anyone who is looking to upgrade their PMS. Cons: The product itself is outstanding. I've use this product and sometimes trying to get through customer service may take you a while. Pros: It is a strong and neat system that is easy to navigate, the information layout is clean and clear and the menu is great. The fact it is cloud-based is great as it can be navigated from anywhere. Cons: Some of the reporting could be advanced, saying that they need to work on the customer service as it is not very effective. Comments: Our property has been using Roomkey since 2011. At first we wanted a simple front desk PMS to track reservations, check-in/out, and print confirmations. Roomkey Basic sounded like the right product at that time. As our business grew the demands changed. 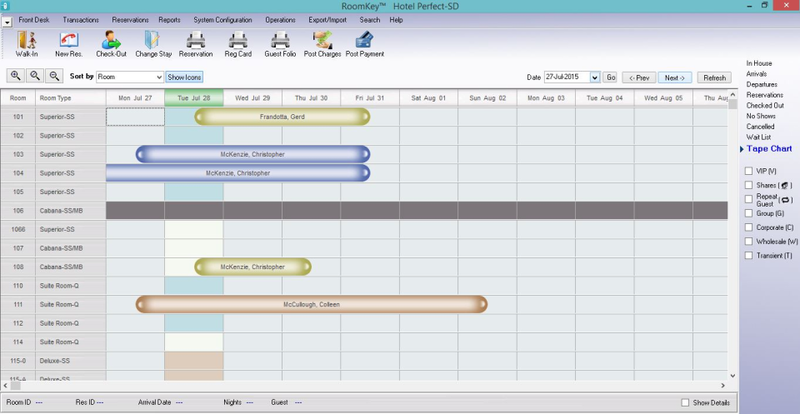 We now use Roomkey Full to implement group bookings, corporate accounts, & city ledger. We just made the choice to connect via GDS recently after it was too much overhead with the amount of reservations coming in from OTAs. Our room revenue has grown by 25-30% and Roomkey was the cornerstone. Since the initial training in 2011 I've been utilizing their constantly up-to-date resources in PDF guides and youtube videos. Recently, I purchased a 4 hour training session to touch base with all the changes Roomkey has had since 2011. This training session was completely worth it. For instant help they have a wonderful support team that always helps me fix any problems I come across. Roomkey isn't a stagnant PMS solution. They are always evolving and redesigning their product. The movement of change is good and the direction they are heading towards only makes the use it Roomkey easier. Great product. Great support. Great pricing. Why wouldn't I be on with Roomkey? Special thank you to Chris Mackenzie. Haven't forgotten all the help you've done in the past. Pros: RoomKey has robust features built into the basic package with affordable add-ons for numerous property types. The customer service and a support team that lives up to the sales pitch (which isn't always the case). It is a solid choice of PMS systems for independent hotels and small hotel companies not tied into proprietary PMS systems. Cons: I honestly have not come across any real cons. Perhaps the information provided, pre-installation, could have been more robust. The client I was working with to choose and implement was not very knowledgeable and likely could not have done the installation without our help. Overall: A solid PMS system for a new hotel with mixed use inventory, a robust rate strategy and many amenities. Easily one of the best hotel management systems in the market. Pros: You can track your hotel's data from anywhere around the world due its cloud based system. 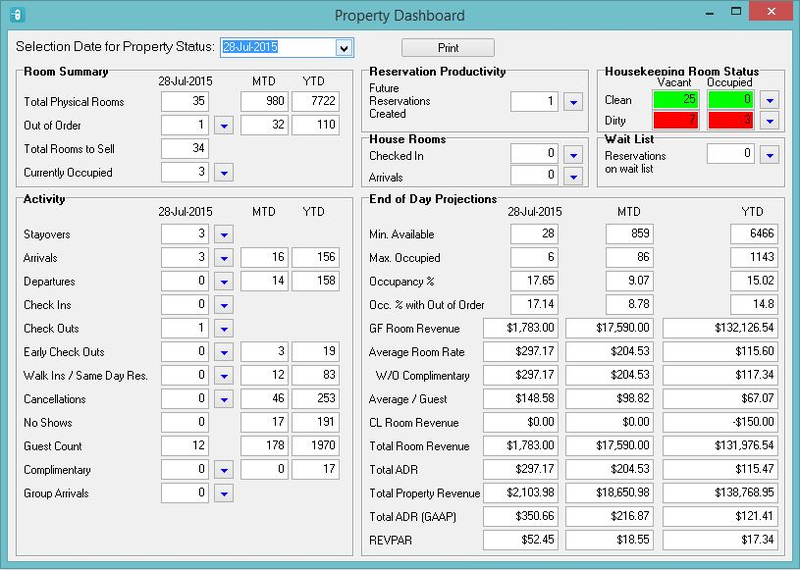 The amount and different types of reports you can generate can give you a better idea of how efficient your hotel runs. Cons: The UI needs improvement. It can better managed to show you important information. The system tends to have a lot of bugs and tech support is generally called. Pros: Katie Mclane with roomkey has been outstanding in her ability to help with any issues I have encountered. Cons: Elearn needs to be kept current with the versions of roomkey so that we can accuratly train new employees. whenever a new version comes out a complete list of all the changes made should be provided before the version comes out so that policies that may be affected by the changes can be reviewed and adjusted accordingly. the tokenization of CC#'s has created some issues. Having the "settle" button on the authorized transaction window is almost a nessesity for our property. there are issues with authorizations becomeing confusing for our guests and they think we have double charged them. Iknow that better training in this area does solve most issues but when new employees are just learning roomkey they make mistakes and the settle button can solve this. Overall: Roomkey is easy to grasp most general areas. the finite idosyncrinicities can be a little difficult for a less computer literate person to understand but it can be trained into them. eLearn - we are currently working on making our online training library more user friendly by merging documents. This will make it much easier to find what you¿¿¿re looking for. As an example, if you were looking for a document on how to change your rates, you would go to the Rates Module Document and the table of contents will direct you to the section on how to change rates. Settle button for Shift 4 ¿¿¿ This has been added in our new release. RoomKey is a good product, but we find the program a bit much - even the Lite version! Comments: As a small property [22 Units and few amenities], the multi-level program is actually more than we need, but the other struggle for us is it's Approach to "The Guest Service Experience". Because this PMS is based on the Accounting Mode, it's bookkeeping strictness creates hurdles for us who use it who are not 'Bookkeeping' savvy. [Although our Accountant loves it!] As a result there are several functions where it takes extra steps to accomplish a simple task all the while our Guests wait! Granted there are some features we really do like! Other PMS products used in the past were in my experience easier to navigate! Thank you so much for taking the time to comment on our Hotel PMS. We are extremely pleased to hear that your Accountant loves the bookkeeping capabilities of our product! We appreciate that not all properties require the same features but work to build and evolve our PMS to make both our hoteliers and their guests lives easier. We welcome you to contact us with any specific feedback we can take into consideration while we evolve our product to see if we can improve your experience. A good product for our type of hotel - versatile and some very good components. 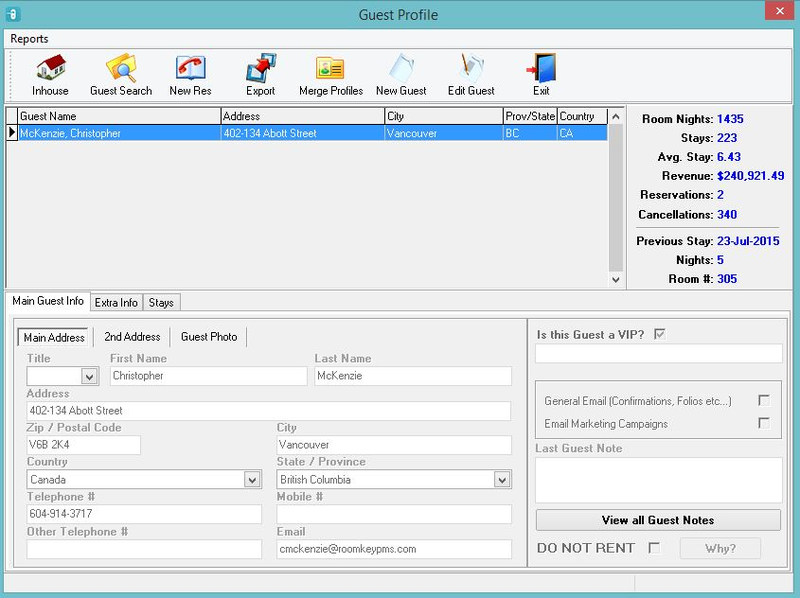 Comments: Their system has been deployed across all our hotels in Thailand, Philippines, Indonesia and Japan and one of the nifty functionalities is our ability to select a repeat guest profile irregardless of which country they are booking. It also allows us to be more flexible in pricing (tiering of rates), tracking of production numbers for corporate and wholesale accounts; able to customize reports and export to excel for further mining; a very good maintenance module enabling us to track works (and costs) being done in rooms and throughout the hotel. Able to merge duplicate customer profiles. Responsive customer service section and great trainers. Their BI Reports section continues to grow in scope and in-depth reporting - enabling us to better understand our customers and demand. The only major downside of this software is that it doesn't support multi-language - however in saying that their new version (web & cloud based) will have that ability. Can't wait! Pros: Great web-based PMS program for smaller hotel properties that will take care of most every operational issue that one gets involved in.We find it most useful that we can make changes to our rates and set-ups wherever we are with relative ease. Cons: The weakest side of the program is the report writer. It is sort of annoying that you can not get any reports that will give you annual information by months. Overall: We would sign up for the program anytime again as we have not found anything thus far that accomplishes more. Comments: Runs our hotel/condo. Operates in the cloud so access is from anywhere you have Internet connection. 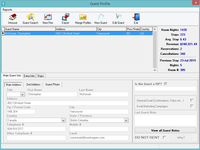 Great tool for front desk personnel and also reports for daily, monthly and annual information. Has an output for data for the condo owners. Can also link to OTA's for increased Web presence. Recommendations to other buyers: The customer service is good and they will help you setting up and adding OTA's. Pros: Room Key is a very easy to operate system. It fits our needs for the 3 properties that use the system. There are complexities that make this sytem stand out aboove a lot of systems. Cons: The group management system can be challenging. Two of our properties are 95% group buys and the entering the rooming lists is very cumbersome. Being able to easily add shares would be a fantastic upgrade to the system. Overall: I would reccommend the Room Key PMS System. The value that you receive for the low cost of the sytem is unmatched. The remote access is also a huge plus! RoomKey allows you to import a .csv file (coma separated value) into the Rooming List feature of the Group Wizard. This will allow you to save the time of re-typing a rooming list directly into RoomKey. Comments: Not very convenient for hostel type accommodation, more suited to hotel properties. Customer service is very poor, difficult to get answers to many questions. Pros: The software is very light and cloud based. The PMS is easy to use and the customer portal has a lot of documentation if any users have questions. Cons: PMS is missing an extract for revenue reporting and a report scheduler for automatically emailing daily sales reports as well as reservations OTB reports. Overall: Good for a very small B&B or Inn. Pros: I like this product a lot. I found it very easy to work with and maintain. My staff also found it easy to learn. The cloud base features of it are amazing. Cons: I don't really have any cons. It is a little more expensive than some of the competitors, but you definitely get what you pay for. Very easy to use and training was excellent. Pros: It has great pricing and value. It's easy to use. It offers great access through the internet. It's great that you can have SiteMinder work with RoomKey to sell to OTA's. Cons: Support service needs a big improvement. The average time for a response is 3 hours. RoomKey should pay close attention to this if they want to see growth in their product. Unfortunately to compete you need to work towards 24 hour support. Recommendations to other buyers: I would recommend customers to speak to users of this product. Visit a property that has the system up and running if possible. Comments: RoomKey is a great PMS system both in the pre-opening and operating stages. The build-out process of the system is particularly interesting as it allows to build it very tailored to the property's needs. Pros: Flexibility of system, easy integration with other softwares and systems. Cons: Tax code programming and the better performance on PC's. Pros: Very user friendly system. Updates on a regular basis to keep up with client requests. Simple straight forward design makes training easy. Cons: Group functionality could be more in depth with regards to routing charges in portions rather than only all or none. Would like to see multi rate reservations on the group module as well. Overall: A great property management system that is designed for ease of use and is administered by a very well informed team. All of our questions have always been answered quickly. -	Group Module enhancements are scheduled for the 4th Quarter of 2009. It's been great to work you're company. Comments: We've been with you since around 2008 I believe and love how much the software has developed. I like the fact the the software is constantly being updated and has many integrations with other platforms. I also like that I'm kept up to date and given different recommendations. What I would like to see is a stable Mac and Ipad version of this software. Many of us use Mac's and it's a bit frustrating having to go to use a windows machine to gain access to the software. I'd also like to use this on the go, so an mobile / Ipad version of the software would be very helpful. Everything else has been good. Cons: Making a reservation is cumbersome, cannot check anyone in after midnight.., its not a well thought out program. Overall: I'm a night auditor/ front desk person using this software for 6 months. It's cumbersome, compartmentalized. No one at the the hotel likes it. I'm wasting time on the software instead of working with the guests. Cons: The manager at our condo bought this software to help manage rentals. I own one of the units. I cannot block out the unit for my own use. I get a software database error. I have been complaining about this for about 1 year. I got an automatic reply back from the room key PMS saying they opened a bug report. Never heard anything back. They manually blocked out the fall as I asked. Now, I need to block out something 6 months from now - same software error. The code doesn't recognize my last name as the owner. Sounds like someone forgot .toUpper to me. I've only used the program to shop comp set info, and it's sub par. Pros: I like that it shows me my entire comp set and then some, I can easily see a ball park of rates to help in my planning. Cons: I don't like that it's not entirely up to date, or that it only shows member rates. I'm not shopping based on member rates, I need to know my competitions best available rate. Comments: I work for a hotel that uses these units and they are very easy to use. They are straight forward and get the job done. 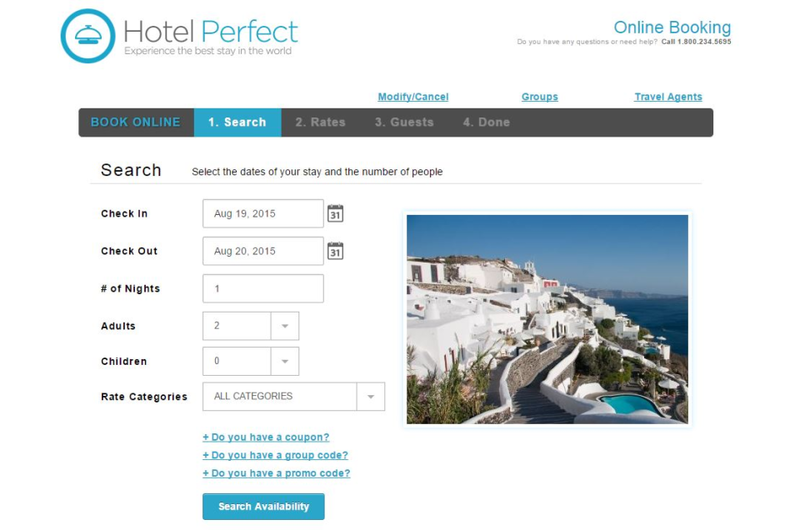 Pros: Simple and concise for booking and checking out rooms, gift sales, etc. The clerks can be set up with different authorizations, a definant plus. Nightly audits can be run the next day. Cons: City Ledger/Guest Ledger reports are not clear. Invoices and Statements are not easy to get. There is not a history of A/R to print. Basically the A/R City Ledger is awful. Overall: The ability to build reports using all the different fields Room Key has would be really helpful, so each user can get the information needed. Comments: We have been pleased with RoomKey PMS since recently converting 21 properties to the PMS. The product is functional, efficient and easy to use. The support and training has been exceptional! I look forward to a long standing relationship with a vendor that has provided our organization with a great PMS product that continues to evolve and provide additional value. Comments: We have found the delivery and extensive and comprehensive content overview provided by Rosamund to be of a superior calibre and we have gained a great deal of additional insight and value of Room Key PMS based on what has been provided by her, and we believe our Hotels would benefit from her continued involvement with our conversions and ongoing training. Cons: Needs A LOT more adjustments/upgrades. Isn't "manager override" friendly or permissions are either too free or too restricted for clerks, there is no middle level of what they can and can't do. Customer service is excellent, which superceeds any complaints! -	Adjustments and upgrades are implemented on a quarterly basis. Clients that want specific RoomKey enhancements may contact our support team and have their requests added to our Client WishList. -	City Ledger enhancements are scheduled for the 4th Quarter of 2009. Pros: New implementations work fine. Cons: Frequently when an update occurs, something that worked in a previous version begins to have challenges. Eventually they are corrected but during busy times when they occur it makes using the system non user friendly. Overall: I will put in for tickets on some things we feel would be beneficial to all your clients. Comments: The sales & support teams take the time to understand your setup at the property. and most of all they know their product in & out. Pros: an overall excellent product. this product has all the modules included for no extra cost. data migration from legacy system is doable in my case compared to others. Cons: POS module is not available at this time, but in the pipeline for this year. besides that, nothing really. Pros: Easy to train new agents. RoomKey can also access the Internet via the cellular network, so if you experience a service interruption with your Internet provider, you can use an "air-card" to continue using the system. Comments: Customer support representative is wonderful. Always willing to help and explain things. I'm always happy if he answers. He helped me with Policies and even did some of the work in order to get it done. Pros: Really like having the system cloud based and just about everything integrated into one system. Pretty easy to use once you start working on it regularly. Cons: Training could of been a little more in depth, trainer seemed to zip right over things and we were left not being 100% sure on our training. Some things we mentioned we were looking for in a system in the beginning seemed to come up last minute that it didn't work with the RoomKey system. Very disappointing. Sometimes its hard to get a response from customer service when issues arise. Recommendations to other buyers: Make sure what you need/ are looking for actually work with RoomKey. I mean ask them numerous time to re enforce what you are needing! Pros: I like how easy it is to use the product. Cons: It is made for large companies and has too many features for a small place. Recommendations to other buyers: Make sure you have a good internet connection; otherwise, it may not cooperate. Overall: Highly recommended to any small hotel. I have acted as a referral many times over the years. Pros: Easy to implement, easy to use, service line is great, many interfaces, user friendly rate management tools, friendly and responsive staff. Overall: Very much! Great product!